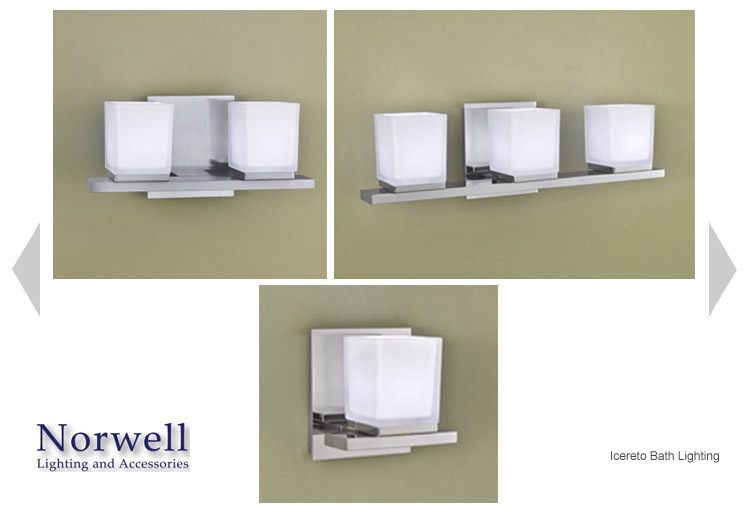 Icereto bath lighting is now one of the most successful bath lighting collections for Norwell. Introduced in 2014, the name is play on "ice" - as in ice cube, the inspiration for the shade - and the designer's last name. Available in single, 2, 3, 4 and 5 lights, the lamp is a compact 50 watt G9 halogen. Finishes are polished chrome and brushed nickel.